THE distressed family of missing cruise ship worker Rebecca Coriam feel they are being left in the dark by officials investigating their daughter’s disappearance. Rebecca’s uncle John Jennings told the Chronicle they have heard nothing from the police force in the Bahamas since her parents returned from Los Angeles on March 28 after collecting their loved one’s belongings. 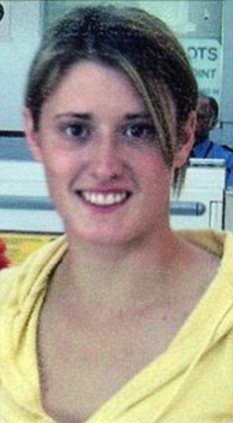 Speaking of the moment the family found out that sport-mad Rebecca – known to friends as Bex or Becky – had been reported missing, Mr Jennings said: “When they first found out Bex was missing it wasn’t from the police but from the ship. “They said she had gone missing – they believed she had gone overboard and was presumed dead. Fifteen days have passed since Rebecca, from Guilden Sutton, Chester, was reported missing from the Disney Wonder cruise liner where she worked, but her uncle says the family are still hoping Rebecca, who has family in Flintshire, will be found alive. He said: “Rebecca is a massive swimmer, if she could have swam she could be on the shore. If they haven’t searched the shorelines she could be still there, that is what is going on in our minds. Mr Jennings said Rebecca’s parents Ann and Michael have seen CCTV footage of what is believed to be the 24-year-old’s last phone call, but they are still totally unaware of what was said. The Bahamas Police Force, who are only conducting the investigation because the ship flies their flag, have not informed the family if the youth worker returned to her shared cabin before she went missing. “We know who she spoke to but we don’t know what was said during the call. The authorities won’t let us know,” said Mr Jennings. “Ann and Michael wanted to bring the video back for Bex’s sister Rachael to see, but it belongs to the ship and they couldn’t release it. Rebecca’s parents were flown to America to collect their daughter’s belongings, returning to Chester with the picture which hung in her cabin as a close reminder of home – but with no news of her whereabouts. Mr Jennings said the search for his niece stopped five days ago, but he believes more could still be done to find her. “All of the passengers went home, they should have all been questioned,” he said. “When they announced there had been no foul play, I don’t understand how they got to that result so fast. We hadn’t been told. “I found out on the radio and when I saw Michael and Ann I told them the news. That is unforgivable. Mr Jennings said the worst thing is not knowing what has happened to Rebecca, a former Chester Catholic High School student. “We have nothing, we do not know if she is dead or alive,” he said. “It is the worst thing that can ever happen to anybody. My heart broke for them reading about their Daughter. LE should tell the family something. Like sorry we believe this is what happened based on the witnesses we talked to.....something. Good Grief I would be out of my mind not knowing what happened to my daughter at sea. The parents of a 24-year-old cruise ship worker who vanished from the vessel in the Caribbean said they 'had to find out what has happened' to their daughter. Their desperate plea for information came as it emerged their daughter made a phone call to a friend from the ship shortly before being reported missing. Rebecca Coriam was last seen on board the £580 million Disney Wonder last Monday night, 24 hours after it set sail from Los Angeles for a week-long cruise along the Mexican Riviera. She was reported missing when she failed to report for a shift. Passengers were told to keep an eye out for the ship worker whilst staff combed the vessel looking for her. Her parents travelled from their home in Chester to Los Angeles after learning their daughter had disappeared and last night spoke of their agony as they worked with investigators in San Pedro, where the ship had docked, to piece together what happened. 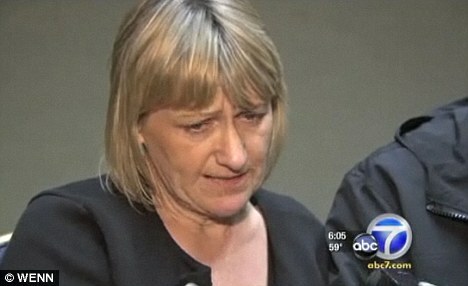 Her mother Ann Coriam told KABC-TV: 'We just don't know what happened to her, do we? And that's just the worst. 'It's just very, very painful, and the thought of not seeing her again, I don't know. It's frightening to think about it, really,' her father Michael Coriam added. Her cousin Trish Davies said officials on board told the family that Miss Coriam, who had worked for the cruise line since last summer in its youth services department, made a phone call from the ship shortly before being reported missing. She said: 'They say they know what the conversation was but they're not telling us. It was not immediately clear what new information, if any, investigators gave the family yesterday. The ship left for its next tour of Mexico on last night. Disney Cruise Line representatives issued a statement, pledging to assist all of the appropriate authorities, and saying they have searched the entire ship multiple times, most recently on Saturday. Returning passengers said they were told during the cruise Miss Coriam was missing, and were asked to keep an eye out for her. Because the Disney Wonder is registered in the Bahamas, police there were handling the investigation. The Mexican Navy and the U.S. Coast Guard also were involved. Miss Coriam's sister Rachael told of the family’s heartbreak at her disappearance this weekend. She paid tribute to her ‘sporty and fun-loving’ sister, and said she loved her job on the ship as a youth activities worker. Her family says she could not have fallen off the ship accidentally and believe ‘something bad’ must have happened to her. However, on a website, one crew member reported seeing Rebecca ‘jump overboard at 3am’. The claim could not be verified. Graduate Miss Coriam, who had studied sports science, had worked on board the ship for a year. Her Facebook page lists her interests as track cycling, running, Liverpool Football Club and – poignantly – ‘life’. Rebecca’s uncle, John Jennings, said the family had contacted their local MP, Stephen Mosley, because they felt the authorities were not doing enough. Mr Jennings said: ‘We believe something bad happened to her. ‘Becky just wouldn’t disappear. People are saying she has gone overboard but I don’t believe that. Mr Jennings said Rebecca’s parents, Michael and Ann, were ‘absolutely devastated’. 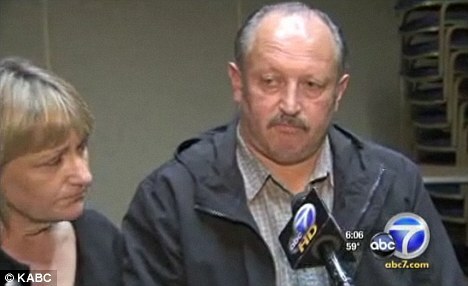 The couple have flown to Los Angeles to meet the ship. Mr Jennings said: ‘Mike said he was just lying on the bed in his hotel room unable to sleep. Disney Wonder was launched in 1999 and accommodates more than 3,000 passengers and crew. Rena Langley, a spokeswoman for Disney Cruise Line, said: ‘We are doing everything possible to assist with the search effort and investigation. We are very concerned about this situation. It does not appear to me that super rich Disney is doing much to find one of their own.